Memphis: The Musical. Image by: Johan Persson. 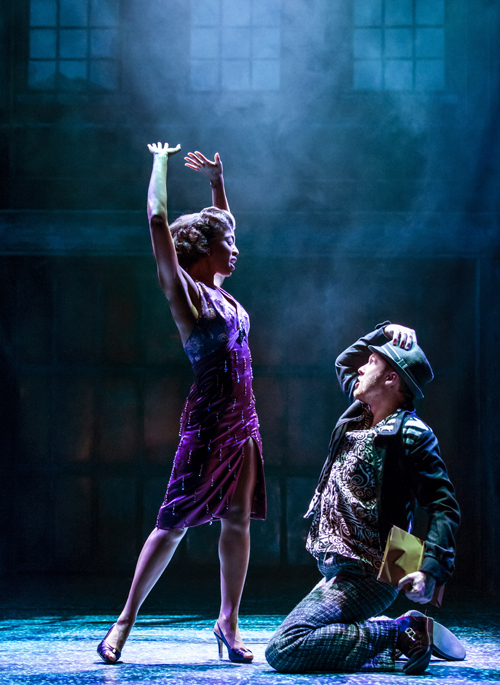 Memphis: The Musical starring Beverley Knight (Felicia Farrell) and Killian Donnelly (Huey Calhoun). Image by Johan Persson. Whether you like musicals or not, this one is sure to get you smiling. Written and composed by Tony award-winning team Joe DiPietro and Bon Jovi keyboardist David Bryan, Memphis: The Musical is a good ole fashioned sing-along by the numbers, combined with hip-sway'n, foot-stomp'n goodness. The story uses the charismatic character of Huey Calhoun, loosely based on Memphis DJ Dewey Phillips — known to have first played Elvis Presley's debut record, to tell a history lesson of segregation in 1950s America and the rise of Memphis blues that incorporates instruments from the banjo and the harmonica to the piano and even the electric guitar. Starting with a sampling of Memphis's vibrant underground blues clubs, Huey finds himself instantly enchanted by the upbeat, impassioned sounds, not to mention the stunning vocalist Felicia (played by Queen of British Soul Beverley Knight). Upon promising the singer he'll help make her a star (despite most stations playing songs solely from white crooners like Perry Como), he lands a radio gig where his motor-mouthed delivery and track-listing of Beale Street's rhythm and blues artists ultimately nabs him a top-rated spot in the ratings. Like most musicals, with the good must come the bad. And in this case, it's the ban of interracial relationships that affects Huey and Felicia. Their plight was not uncommon in America's southern states and one that would last until 1967, when the US finally legalised interracial marriage across all of the country. Despite the heavy subtext, the musical runs quick and light, just teetering on the difficulties faced by such couples. At the true heart of this staging are the action-packed, split-leaping dance sequences from Colombian choreographer Sergio Trujillo, the hum-along, feel-good melodies from DiPietro and Bryan, and Knight's deep, powerful voice that resonates from head to toe. The supporting cast is also truly dynamite, with characters like Huey's mother Gladys (Claire Machin) bursting into a surprise musical riff along with the unassuming Gator (Tyrone Huntley) who, despite his inability to speak, breaks into an earth-shattering blast of musical genius. While the storyline glazes over a notable issue of the past and Huey (Killian Donnelly) and Felicia seem ill-matched and lacking in chemistry, the four-time Tony award-winning show still manages to mesmerise, thanks also in part to its entrancing set design, courtesy of David Gallo and Shawn Sagady. Watch out - this production stays with you: you'll be humming the key song titles like The Music of My Soul, Someday and Steal Your Rock 'n' Roll for days to come. 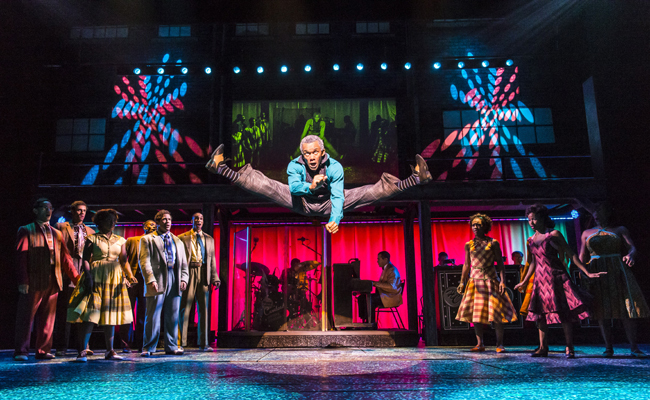 Memphis: The Musical is at Shaftesbury Theatre until March 2015, with ticket prices running from £22-£92. Leads (Beverley Knight and Killian Donnelly) are scheduled to appear at all performances until 27 October, and thereafter not available on certain dates — check website for more information.